What Does Code P0339 Mean? Inside your engine, a complex ballet of fuel and fire is being performed. 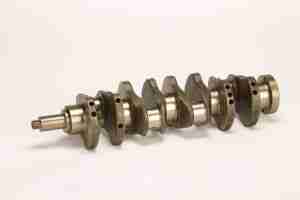 At 2,000 rpm, each spark plug fires 1,000 times, or once every 60 milliseconds. Also, every 60 ms, the fuel injectors deliver a pulse of precisely metered fuel, usually somewhere between one and four milliseconds long. Additionally, vehicles equipped with variable valve timing (VVT) need to vary intake and exhaust timing, as well as lift in some cases, depending on engine speed and load. Obviously, timing is everything and, in the modern engine, timing down to the millisecond is absolutely essential for proper operation, power delivery, and fuel economy. Regarding the most basic timing in an engine, the engine control unit (ECU) monitors the crankshaft position sensor, often abbreviated as CKP. The CKP sensor reacts to a toothed wheel on the crankshaft, generating a signal, which the ECU used to determine two very important data points – engine speed (RPM) and engine position, or cylinder #1 top dead center (TDC). Using this information, the ECU modulates all other engine functions. What are the common causes of code P0339 ? Faulty Sensor – If the sensor is open or shorted, due to age, damage, or corrosion, a weak signal or no signal will be generated. Poor Installation – A good CKP signal is highly dependent on sensor placement. Generally, the sensor needs between 0.020” and 0.050” clearance to the reluctor ring. If the sensor is cocked to one side or not firmly seated, the clearance will be wrong and the signal will be too weak for the ECU to detect. If the reluctor ring is rubbing the sensor, the signal will be distorted. Ford Trucks / Mustang GT – An alternator phase problem, such as a blown diode or open coil, may cause so much electrical interference it distorts the CKP signal, causing DTC P0339, in spite of there being no actual problem with the CKP sensor or wiring. Cars in Storage – Unfortunately, while looking for nesting materials and cleaning house, these little critters might find your wiring offensive or even tasty, resulting in open circuit problems. What are the symptoms of code P0339 ? 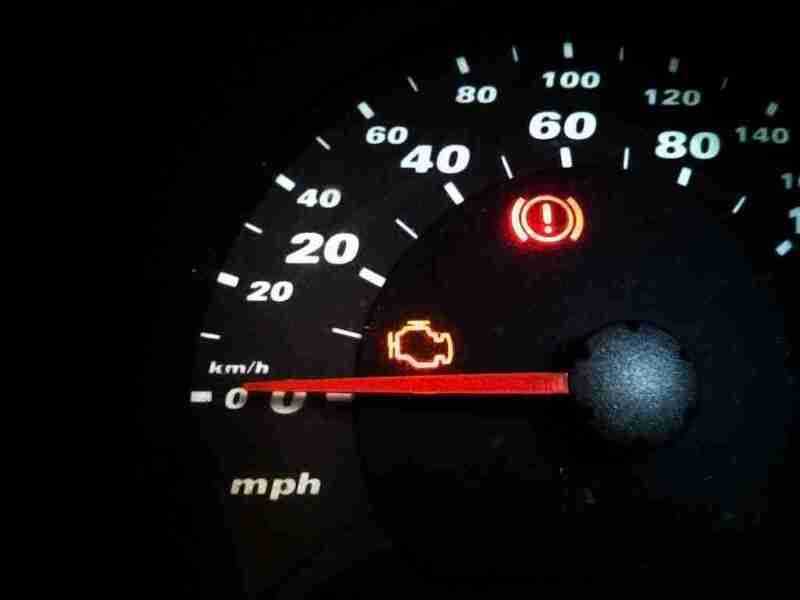 If the ECU only sometimes detects a CKP signal, it will set a diagnostic trouble code (DTC), DTC P0339 – Crankshaft Position Sensor Circuit Intermittent, and illuminate the MIL or CEL (malfunction indicator lamp or check engine light). If the signal is weak (poor installation or faulty sensor) or there is a wiring problem (loose connector or wire harness damage), this could result in an intermittent CKP signal. Without a CKP signal, you may experience no-start or start-stall conditions. Depending on year, make, and model, the ECU may be able to use the CMP (camshaft position sensor) to estimate engine speed and position, so the engine will run, but not at its most-efficient. In this case, you may experience hard starting, rough idle, or poor acceleration. How do you troubleshoot code P0339 ? Since P0339 refers to a circuit problem, we can focus our attention on electrical problems, but we still cannot rule out the sensor or reluctor ring. Fortunately, because the CKP sensor and signal is very similar to the CMP sensor and signal, we can follow the same troubleshooting steps to determine why DTC P0339 is stored in ECU memory. Visual Inspection – Make sure all connectors are properly connected. Check the wiring harness for damage. Sensor Inspection – Check for resistance, an open circuit or short circuit is a definite fault, but check the repair manual for an exact resistance range. You can check for signal by setting your DVOM (digital volt-ohm meter) to AC mV, and cranking the engine. Harness Inspection – Check for open circuits and short circuits in the harness between the ECU and CKP sensor. In any case, I would start with checking all the fuses. Make sure the battery is installed correctly and is reading 12.6 V or better, and check the engine wire harness for damage. I believe the CKP is located near the ignition coil pack, near where the engine and transmission meet. You should be able to see it clearly without removing anything. Make sure it is connected properly. We should have a troubleshooting article up soon to help you out. Thank for the great information. I also have a Kia Cerato 2008 and what happens is that it start normally and after a a few minutes of driving it starts to loose power no mater how much gas i give it. A friend thinks it might be related to the gas pump but i found error code P0339 indicating Crankshaft position (CKP) sensor -circuit intermittent. Can the cranck shaft cause the car to loose power after it warms up? Usually, an intermittent code means that you have a loose connection somewhere. After a few minutes tells me that it could be related to heat. If there’s a corroded wire or loose connection, heat might make it open up. Also, engine vibration could work something loose. Finally, the CKP sensor itself could be faulty, perhaps an internal coil opening up the circuit when the engine starts to heat up. Intermittent codes can be a pain to diagnose, because they are intermittent. If it’s a cheap sensor, you could probably start with that, but I wouldn’t be surprised if the code comes back, which means that you still have some kind of a circuit problem. Huí dào xuéxiào, zhòngdiǎn guānzhù yīngyǔ/yǔfǎ. If I understand correctly, you have a new battery, but now the engine does not start? P0339 refers to the crank position sensor circuit having an intermittent connection, which wouldn’t be related to the battery in any way. The only thing I can think of is that the connector may be loose or the wire to the sensor may have a break. Check that the connector is firmly seated and check for continuity between the engine controller and the crank sensor. Another possibility is that the battery was accidentally installed backwards and something burned out, meaning the sensor may not be your only problem. Intermittent circuit problems can be really difficult to diagnose. The best thing I can say is to clear the codes, turn the key off, then start the engine. 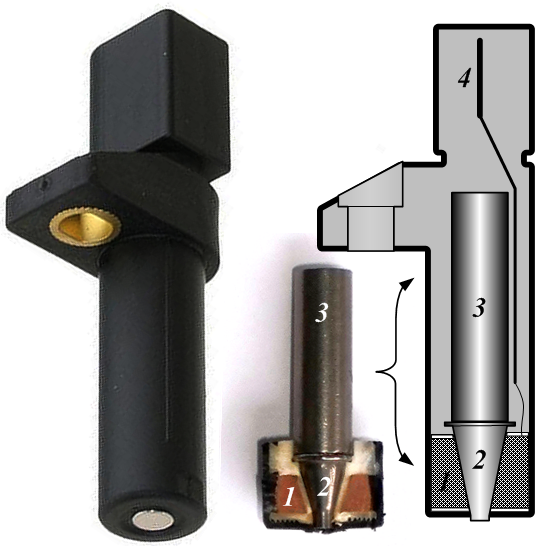 If you can do so safely, try to wiggle the connector and wire harness that connect the crankshaft position sensor to the ECM, as well as any intermediate connectors. Chances are that somewhere along the way there’s a broken wire or loose connection. 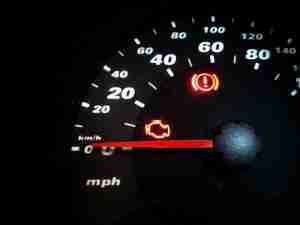 At idle, while you’re manipulating the wiring, the engine will sputter if you find the break. It would help if you let us know the year, make, model, engine, and transmission of the vehicle you’re working on. Hi, kia cerato 2010 keeps stalling occationally and i had to replacen the cam sensor and the engine keeps stalling…i used a kia GDS scanner and it reported two fault codes: P0075 for intake valve control solenoid circuit (bank 1) and P0339 for crankshaft position (CKP) sensor circuit-malfunction…do you have a clue to this problem? Well, you replaced the camshaft speed sensor already, which I’m guessing was because of a circuit code? You’ll have to check the circuit between the ECM and the crankshaft sensor, and do the same for the intake VVT solenoid. You might find an open circuit or a bad connection somewhere. If the circuits are fine, then the sensor and solenoid might be faulty. The coil in the VVT valve should measure 6.7-8.0 Ω. Anything outside of this range should be considered faulty. I can’t find a specification for the crankshaft sensor coil, but if you measure 0 Ω or an open circuit, this would be a faulty sensor. Again, don’t forget to check the circuit between the ECM and the component, as circuit problems here will interrupt the signal even if the sensor/actuator is good. I have a Civic 8th Gen 1.4l petrol. On Monday, at 20mph, the car juddered – did not lose power so I drove through it. Then at 40-45mph it juddered 3-4x, EML light came on and VSA light too. Stopped for a few mins. Turned engine off. Restated. Error still there. Carried on driving. Did it again at 45-50mph and did not happen again during this time vehicle did not lose power and acceleration was fine. So called breakdown assistance as EML was on – they said it was a P0399 Crankshaft Position Sensor Circuit A sensor. The technician said sometimes the ECU thinks there’s a fault when there isn’t so he cleared it. Road tested for half an hour. No issues. Now since then and today I’ve done probably up to 50 miles, local and motorway, fault has not reoccurred. Took it to Honda – even though EML light was cleared – they said wiring was OK and crankshaft seems to be in good condition. Also did troublehshooting too. hard starting when engine is warm, code P0339,crankshaft sensor replaced but still have same issues when engine is warm. Mechanic suggests onltyother alternative is new timing chain. Car is Honda Civic 2.2,with 150000 miles on clock. Would it be best to replace chain regardless? Hoping code wont reappear after the expense!